Inviting covered porch greets you as you enter this well loved, two story nestled on a private & fenced lot. Beautiful hardwood floors accent the 1st floor. Large eat in kitchen offers stainless appliances, island & newer lighting. The owners' suite includes vaulted ceilings, walk in closet & updated tiled bath with double vanities & garden tub. 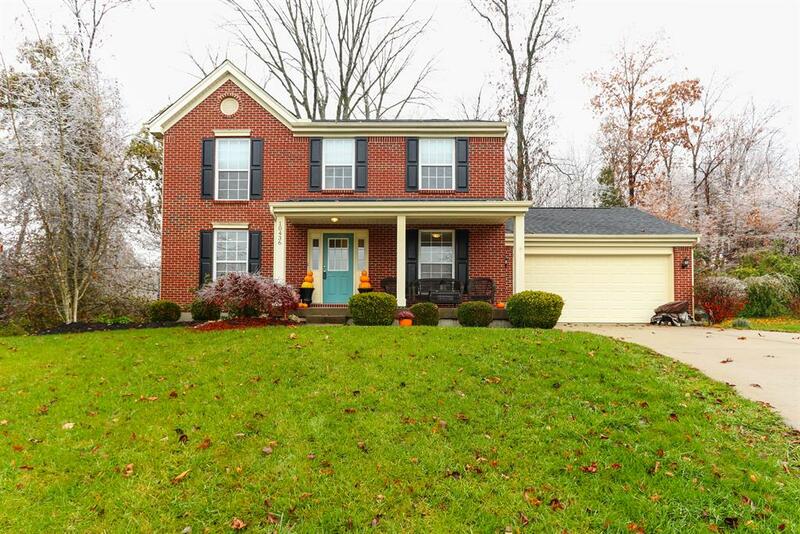 Enjoy the finished lower level with third full bath & walkout to patio. This 3 bedroom has a stained deck with stairs leading to the rear yard. Newer roof & 1 year HMS warranty!